This sheet offers the modeller 6 decal options. 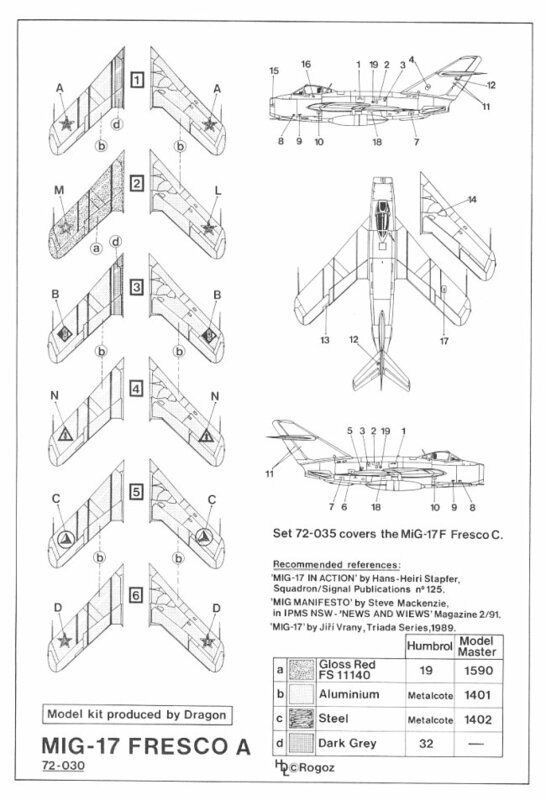 There are enough stencils included to do one of the 6 planes featured on this sheet, although with additional stencils it would be possible to do all of the planes on this sheet. 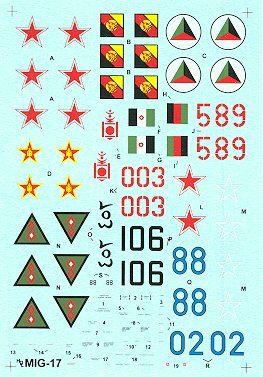 The first decal option is for a MiG-17 Fresco A of the Soviet Air Force during the Warsaw pact invasion of Czechoslavakia in August 1968. The paint scheme of this plane is Aluminium on top and bottom.....with some steel on the rear fuselage sides by the engine exhaust. There are Gloss Red (FS 11140) fuselage bands around the rear part of the fuselage.  The second decal options is for a MiG-17 Fresco A of the Soviet Air Force Aerobatic Team in 1956. The paint scheme of this plane is Gloss Red (FS 11140) on the top surfaces and Aluminium on the underside.....with some steel on the rear fuselage sides by the engine exhaust. The third decal option is for MiG-17 Fresco A of the East German Air Force in 1960. The paint scheme of this plane is Aluminium on top and bottom.....with some steel on the rear fuselage sides by the engine exhaust. The fourth decal option is for a MiG-17 Fresco A of the Iraqi Air Force in 1961. The paint scheme of this plane is Aluminium on top and bottom.....with some steel on the rear fuselage sides by the engine exhaust. 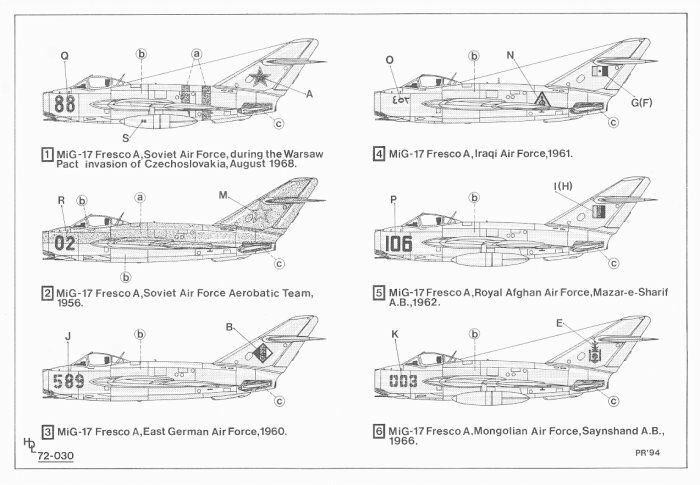 The fifth decal option is for a MiG-17 Fresco A of the Royal Afghan Air Force out of Mazar-e-Sharif airbase in 1962. The paint scheme of this plane is Aluminium on top and bottom.....with some steel on the rear fuselage sides by the engine exhaust. The sixth decal option is for a MiG-17 Fresco A of the Mongolian Air Force out of Saynshand airbase in 1966. The paint scheme of this plane is Aluminium on top and bottom.....with some steel on the rear fuselage sides by the engine exhaust. These decals are clearly printed in register and appear very thin, so they should conform beautifully. The small stencil writing is clear and appears almost readable although it is much too small to be readable on the 1/72 sample I have before me.